Is This Talk Useful or Harmful ? أتعجب عندما يتعدى احد الناس حقوقه كإنسان و يدين الناس بما يدين به الناس لرب الناس. و كأنه شريك لله في الدين بل و يعتدي بالشتائم على الناس. I am speechless when someone exceeds his rights as a human being and condemns people for their obligations toward God. Moreover, when assaults these people as if he were associated with God in this obligation. أول يوم نزل فيه الوحي على محمد، ذهب لزوجه يخشى أن يكون أصابه تهيؤات فذهبت معه لحبر نصراني طمأن محمد فأمن الرسول بما أنزل إليه من ربه. و عندما أشتد إيذاء المسلمين في مكة، هاجر المسلمون إلى الحبشة لأن ملكها نصراني حامي عن المسلمين و أكرمهم في مملكته. لما توفي زوج رملة بنت أبي سفيان عنها في الحبشة أرسل لها النبي يتزوجها فدفع مهرها نجاشى الحبشة و أقام مائدة كبيرة و جهزها كعروس حتى أنها تقول أنه لم يكن إصبع في قدمها إلى و فيه خاتم أتت به زوج النجاشي أو إحدى بناته. And the Christians supported Islam from the first day. 1-When Muhammad received the first revelation his spouse, Khadija, took him to her cousin, Waraqa bn Nofl, who was a priest. Muhammad was scared. The priest was a support to Muhammad and give him a good omen. And Muhammad believed in the revelation that was sent to him from The Lord. 2-When Muslims were harmed intensevely by people of Mecca, Muslims emigrated to Ethiopia because the king was Christian. He granted their asylum. The Christian support wasn’t limited to giving Muslim the freedom of religion. It exceeded that to personal level.Muhammad asked for one of the Muslim women’s hand after the spouse died, the king had all the wedding from his budget. Muhammad’s wife, Ramlat, said, “There was no area on her body but covered by tournaments because the wife of the king and his daughter showered her by gifts even on every single toe she had a ring. 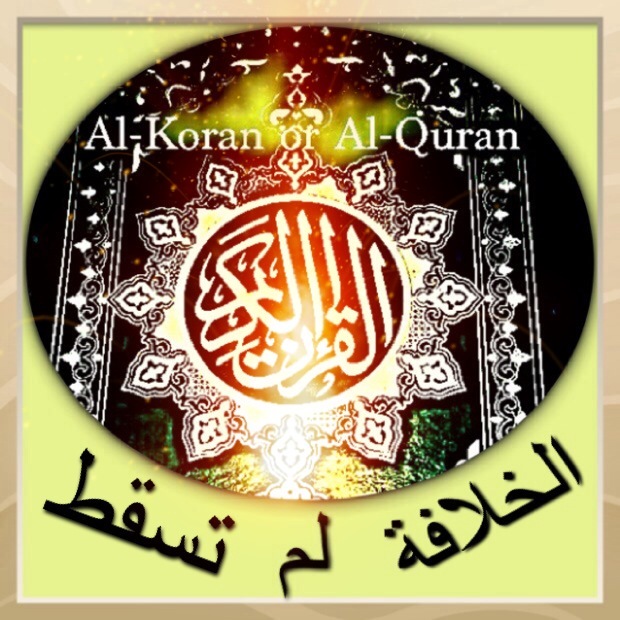 Are the family of God those who follow the Koran or those who do the opposite of the Koran when insulting the non-Muslim? لقد أحل الله زواج المسلمين من اليهود و النصارى حتى تندمج الأسر. المسلم يبر حماته التي أصبحت أما له و محرم حتى إن طلق زوجه أو توفيت عنه و يصبح بهذا الزواج أطفاله إخوانا و أخوات لأبناء زوجه من زواج سبق زواجها منه. لكل دينه و لا إكراه في الدين إنما البر فرض علينا و أن يرعى أبنائها غير مسلمين فيكون له ابنة محرمة عليه و يكون لها أبا. God has permitted the marriage of Muslims to Jews or Christians so that humans would mingle. Even if the marriage ended up with divorce or a death of the spouse, the mother in law, became a permanent mother to him. Another thing if couple, Muslim/Non-Muslim have children, these children might have half brothers or sisters from the mother and their religion is respected since there is no compulsion in religion. لقد ذكر الله أية كونية في آياته القرانية إنه جعل مودة و رحمة بين الزوجين و لكن الذين بدلوا نعمة الله كفرا و أحلوا قومهم دار البوار افتروا على الله الكذب. حرموا مودة النصارى. 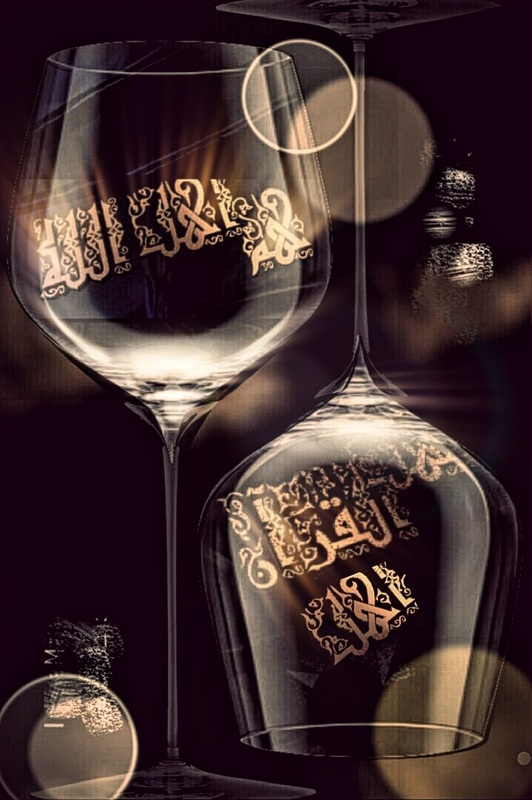 قتلهم الله أني يافكون؟ إنما حرم الله مودة من حاد الله و رسوله. 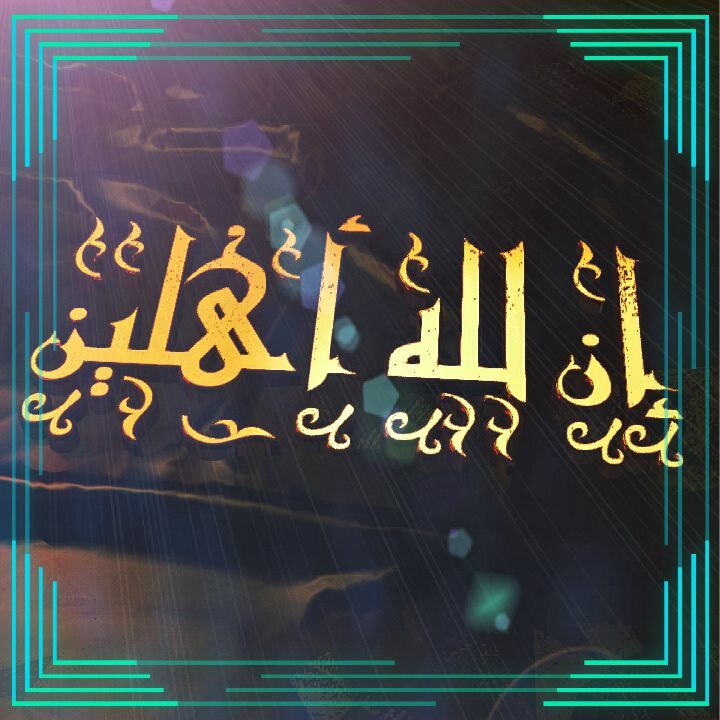 أما من لم يحاربنا فهم من عائلتنا. تعدى حقوقه كإنسان و تعدى على الناس و أشرك نفسه مع الله يحاسب الناس و يدينهم بدينهم لله و أساء للدين و كذب من نادى نصاري السيد المسيح بما لم يدعوهم به الله. خاض في مخاض و قاذورة من كتب يسأل أسئلة جنسية عن كيفية إن الله له عائلة. ممكن يسألوا بنفس الغباء، “يعني إيه إنتم أهل الله؟ إزاي محمد رسولكم يقول أن لله أهلين؟ يعني ممكن أهل الله يقعدوا معاه يأكلوا محشي؟ ما هم أهل بقي؟ كل هذه السخافات التي يكتبها بعض المسلمين مدعين أن هذا تدين ممكن أن يكتبها غيرهم لأننا نقول أن أهل الله هم أهل القرآن و خاصته. الإساءة لغير المسلمين باسم الإسلام قبح و تعدي و ليست حق للناس أعطاه لهم رب الناس. 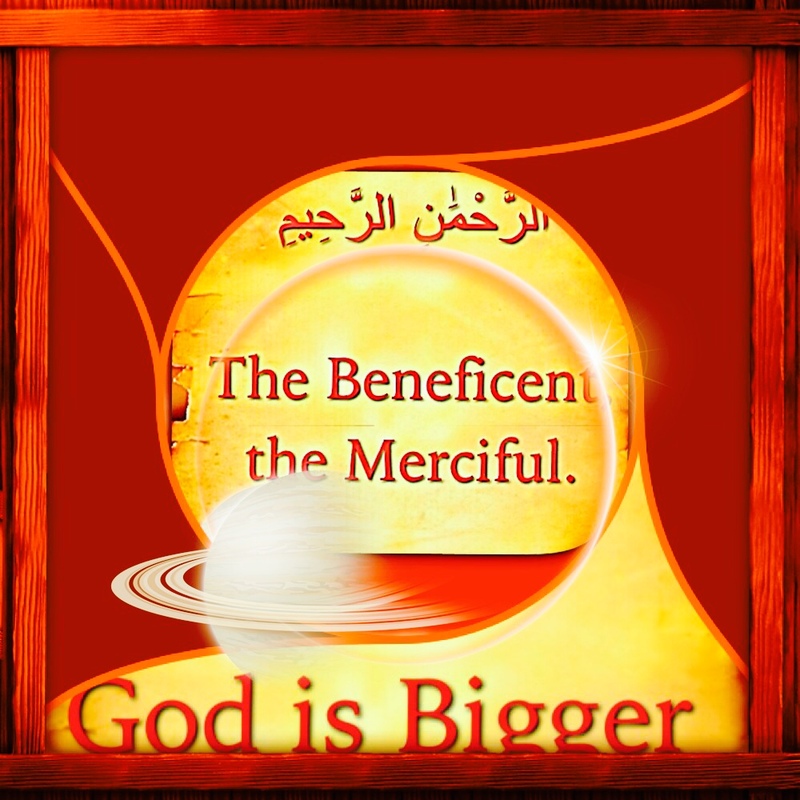 God has mentioned a cosmic marvel in a Koranic verses that He made cordiality and mercy between spouses, yet, some replaced the grace of God by disgrace and resided their people the Abode of Loss. Some lie against God when they deprived of cordiality to Non-Muslims. God kill them? How come they are decieved? But God has forbidden the love of those are against God and His Messenger. But those who are peaceful, they are family. Some people exceeded their rights as human beings and associated themselves with God. They judge people based on their worshipping to God. How would Muslims wold be if others exaggerate because Muslims say that the family of the Koran are the family of God? It’s possible they ask the same stupid, “means Muslims can eat chicken with God because they are His Family? Abuse of non-Muslims in the name of Islam is ugliness and it’s not a right was given from Lord of the people. من أهل الكتاب من يعرف الكتاب كما يعرف أبنه لا يغيب عنه حرفا منه. يعرفه صم. فهم يصمون و من صم لا يستمع و إن أطال النظر فلن يبصر. القرآن الكريم هو الكتاب الذي نزله روح القدس بالحق على محمد (ص) و أهل الكتاب ليست من ألقاب أهل الإنجيل و التوراة فقط و إنما أهل القرآن أيضا فهو آخر الكتب. لقد أنعم الله على الإنسان بانه ليس كبعض الحيوانات فمثلا يمكننا تزويج خيل بحمير للحصول على بغال. فالخيول ليست من الحمير فلا مودة و لا سكن و لا شيء ينتج عن تزوج زوجين كهذين من الحيوانات إلا قضاء مصلحة أحدهما من شهوة أو المستفيد من خلفة البغال. أما المودة و الرحمة و السكن للزوج الآخر فيعرفها بعض الناس. كيف لهم أن يحرموا مودة أهل الكتاب المسالمين الذين أحل الله تزويجهم للمسلمين و جعل بين الزوجين المودة و الرحمة و السكن. فالمسلم الذي له زوج ليست مسلمه في شرعهم لا يتودد لها و إنما يكون في بيته مثل الحمار. الصراط المستقيم فهم أضل من الأنعام مثلهم كمثل الحمار يحمل أسفارا. صم و لا يفقهون ما فيه و عمى عن نور كتاب الله يحرمون المودة و يقولون أن الله أمر بهذا و يتبعهم الحمقى و الاجلاف الذين يغارون على دينهم. و أولى بهم أن لا يتبعوا من أفترى على الله الكذب و قال أن مودة غير المسلمين حرام لان الله حرم مودة و تولي أعدائه و أعدائنا من المجرمين الكفار. رغم أن كتاب الله مبين و بين أنه لا ينهانا عن أولئك الذين لم يقاتلونا و لم يخرجونا من ديارنا إنما ينهانا عن مودة و ولاية القاذورة الذين يقاتلونا في الدين. The Onus Is on Us to Conceal the Past. وجب الستر علينا. This blog is only for open minded people. Al-Islam is a standing religion for the past 1500 years. Getting excited when hearing the stereotype of the media about Islam makes you look like a fool. So, please calm down before reading. Al-Islam is the faith of 25% of the world’s population. The majority of our globe have no negative opinions about the ordinary Muslim. 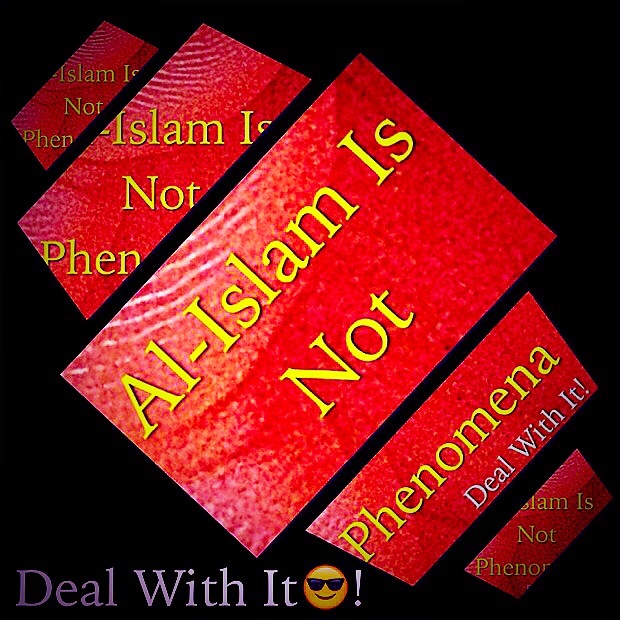 This blog isn’t to defend Al-Islam. I’ll diagnose mistakes behind the world’s repeated failure to be prevented from aggressions that some Muslims committed against us, humans, then simple solutions. Simplicity is the way to solve violence not sophisticated conferences or using modern technology in strategic plans. These beasts violate the religion of peace in the name of God, The Merciful, The Compassionate. They might attack their beloveds or commit suicidal attacks besides they leave negative feelings among us. The majority of these terrorists’ victims are Muslims, yet, some Non-Muslims ignorantly blame Al-Islam as the reason behind the violence and aggressions. Kings, queens, presidents, rich and those who starve are Muslims. They ask God to defend them. Nobody or a blog is able to defend Al-Islam. This blog is to defend our safety and our human rights. Al-Islam is a religion of peace. If you believe criminals and murderers when telling you “We are good Muslims”, that means you are dumb.That does not mean that Al-Islam is a bloody religion. War against terrorism caused innocent victims and was an excuse to deceive Muslims to join these terrorist groups. We don’t fight violence. Where is the violence to be found? We can eradicate violence from minds not fight it. Muslim and Non-Muslims who repeat saying Islamic terrorist groups or they call these movements “Islamists” are a huge help to these criminals, why? Because calling them “Islamists” recognition of their offense as Islamic; and it is not. Moreover, you are provoking the mainstream Muslims. It is offensive to say such something like “Islamic Drug Smuggling” or “Islamic Misinforming IRS” just because some Muslims do it then they say, “We Are Religious”. Refuting the humanity offenders’ claims” from Al-Quran is in a solid curriculum and its results are spectacular. Contact me for information. Muslims are obligated to pray 5 times a day, yet, sometimes our acts violate these prayer. 1-Muslims have to lineup: One’s right shoulder and foot are near one’s left shoulder and feet. No social classes permitted. One arrives early, s/he prays in the front. One arrives late, s/he forbidden to step over anyone shoulder to be in the front. 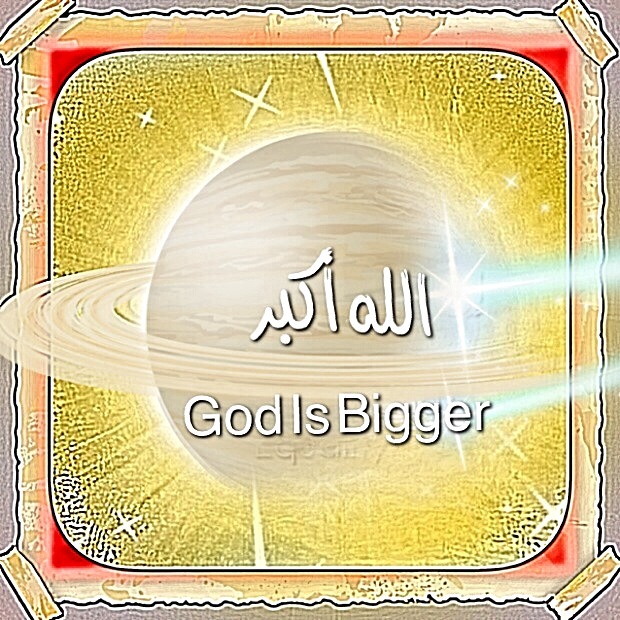 Muslims face Mecca if possible declaring, “God is Bigger”. 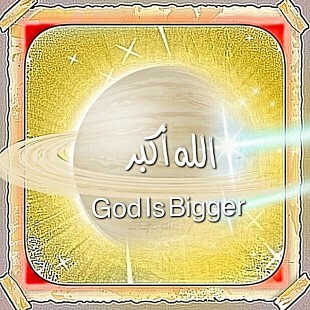 He is Bigger than anything. He created everything. Everything is His. All Muslims are lineup equally declaring that none of them has any authority over the other. The leader of the prayer is the host of his guests regardless. 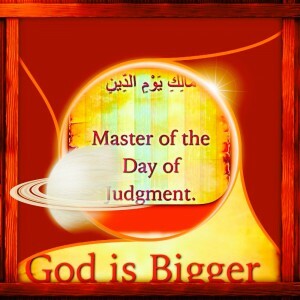 If not confident enough before any work interview some Muslims might say, “God is Bigger”. It is a reminder that they’ll meet a human.In other challenges, they do the same. 2-Muslims recite the words of God from Al-Quran that starts with “In the Name of God, the Merciful, the Compassionate/the Beneficent. 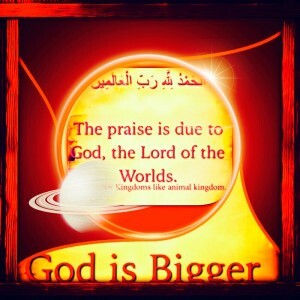 3-Muslims praise the creator who created the new world, the old world and everybody’s own world….easy? 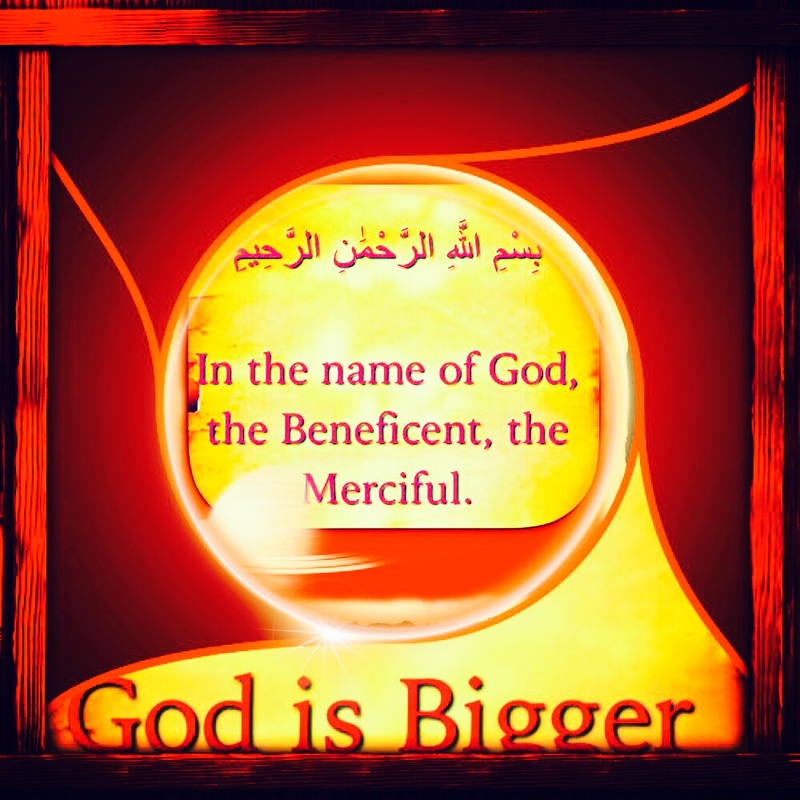 4-Although God’s Name is the Merciful, the Beneficent but in the first moment in the prayer we mention that’s what He does as well. yea? 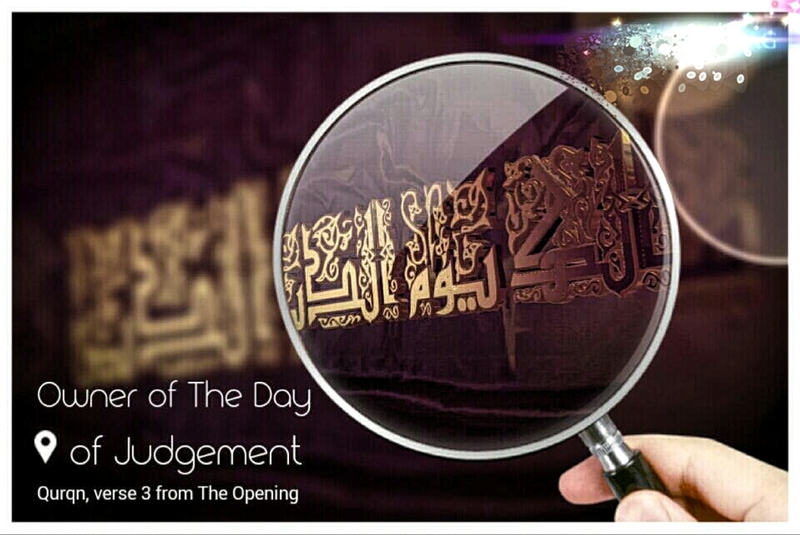 5-Muslims declare that the judgment is not their job by reciting the following verse from Al-Quran. People aren’t allowed to associate themselves with God by judging one another. 6-All Muslims admit they are empowered by God and they worship Him only. 7-Scholars can’t decide for God what path He wants for His worshippers. He says that He wants the ease. 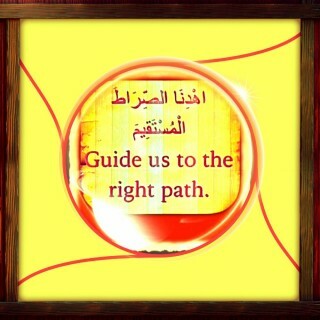 8-Muslims believe if they don’t follow His way, they are lost. 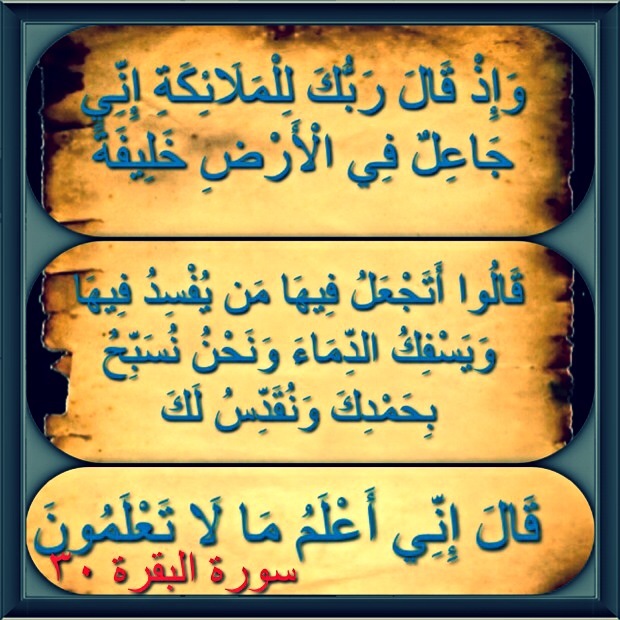 9-Declaration after reciting the previous verses by saying, “God id Bigger” then they kneel praising His mercy. 11-On the floor while nose and forehead is touching the ground praising Him again. Repeating all above is a must early in the morning. So basically you get up in the dawn time to kneel and declare equality and kneel to the Lord of the mercy twice. Night time 4 times so you go to bed not forgetting all above. 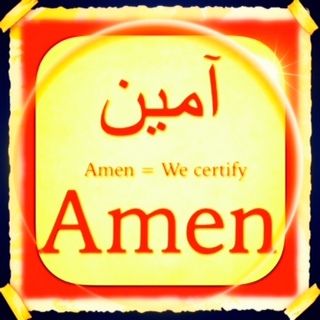 17 times kneeling x 2 times saying “The Merciful, The Beneficent”= 32 times a day. Salaam, did we learn anything from what God made it obligatory? According to what we repeat 17 times a day, do you think The Merciful might accept any violence act or behave with His creature? Do you think the Lord would accept any association with Him to judge people? If you are Muslim you know that Muhammad was illiterate. Scholars have no authority or privilege over you. Stop reforming Islam. Islam is peaceful. Reforms created violence phenomena and terrorism against what God loves. This YouTube might clarify more! Is it time to regain our divine human rights and equality?